Enjoy the best mahjong with 150 mahjong layouts, classic mahjong gameplay, beautiful and easy to read mahjong tiles. Download free mahjong with stunning 3D graphics and ambient background music. 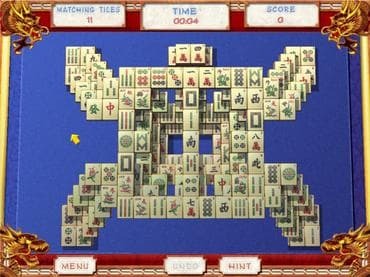 This free mahjong game with unique features will keep you glued to your computer, and it's sure to delight fans of mahjong and newbies alike. Solve the 150 different layouts in four fantastic game modes. Download free full version game and become a master of mahjong! Free Game Features: - 150 Different Mahjong Layouts; - 4 Fantastic Game Modes; - Amazing 3D Graphics; - Relaxing Soundtrack; - Save / Load game option; - Mahjong Game Statistics; - Free Version Game without any Limitations. If you have questions about Mahjong game, please contact us using this form.